The boat club was delighted to take delivery of a new men’s first boat this term. 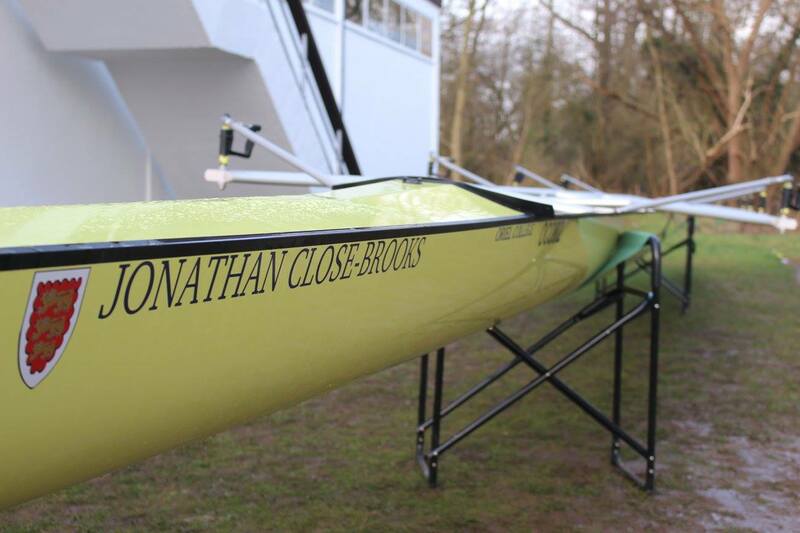 It is named in honour of Jonathan Close-Brooks who, as Captain of Boats, led Oriel to the 1966 Summer Eights Headship. The boat is a brand new aluminium wing-rigged Empacher VIII and was delivered to the UK in February, in time to be raced in Torpids. 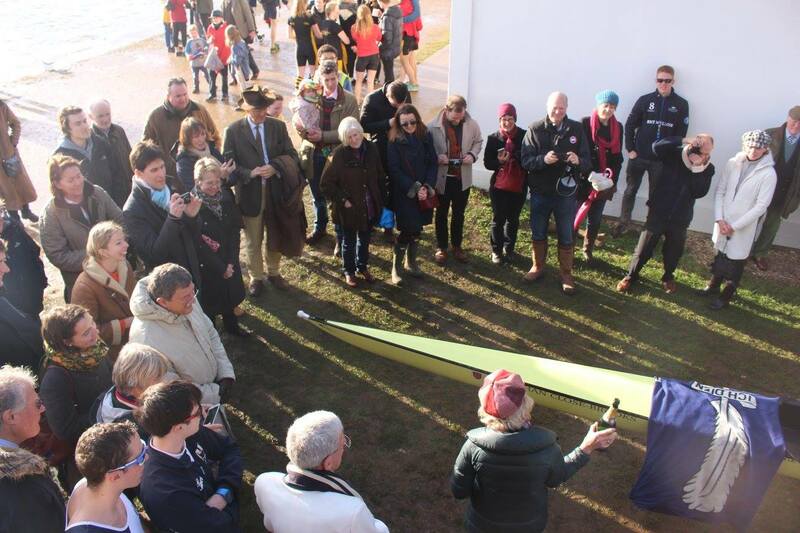 The official boat launch was held on the Saturday of racing and was attended by Jonathan’s widow, Rosemary. The boat club is extremely grateful to all of the sponsors, college and club members who have played a part in the project. The launch of the Jonathan Close-Brooks. With thanks to Caroline Knight for the photographs. The Tortoise Club’s full Hilary term newsletter is now available for viewing on the club pages of our website here. We were winners of the Men’s College Eights at Bedford Regatta in May. Congratulations M1! It was a great weekend trip out of Oxford for some side-by-side racing in preparation for Summer Eights. We are recruiting an new Men’s Head Coach. The role comes with a competitive salary and the opportunity to coach athletes from Olympic medallists to novices. Contact mens-captain@orielrowing.org.